Setup Your Online eCommerce Store in Minutes! Why Choose MilesWeb for your eCommerce Store? eCommerce’s power and extensive features makes it resource intensive, our servers are optimized to ensure the swift and efficient functioning of your store. eCommerce is completely free to install and you can install it as many times as you wish, at no additional cost. MilesWeb provides you with your desired hosting package with free eCommerce installation. Worried about the data migration in changing eCommerce hosts? No problem — we’ll take complete responsibility of migrating your data from your existing provider, remove bugs and optimize your site for the best and fast performance from day one. eCommerce is the abbreviation for ‘Electronic Commerce’. It denotes any form of business or commercial transaction that comprises of the transmission of information via internet. The forte of an eCommerce website is buying and selling physical or digital products online. eCommerce can be conducted from businesses to consumers (B2C), from business to business (B2B) or from consumer to consumer (C2C). The main purpose of an eCommerce website is to enable the businesses and consumers to be a part of the online economy and international market without dealing with any barriers of time and distance. Through online eCommerce a direct channel is established between the businesses and consumers. Examples of eCommerce websites include electronic payment, online shopping, internet banking, online auctions, online ticket booking etc. Is eCommerce A Profitable Business? eCommerce is one of the fastest growing sectors over the internet. It has shown exponential growth over the past years and it is expected to grow at an accelerating pace in the future. The main reason behind this is that people prefer using internet for various things like shopping, comparing prices, booking travel tickets, booking accommodations etc. eCommerce makes a business more efficient, affordable and much more convenient. What Do I Need To Start An eCommerce Website? Creating a genuine business entity is always the first step of setting up any business. The next step is to determine the appropriate niche where you will be selling your products / services online. Locating a market gap or improvising on an existing niche will secure the online future for you. The final step would be to launch your eCommerce website that enfolds your business philosophy and after this, you will be fully equipped to reach the consumers. How MilesWeb can help you? How MilesWeb Can Help You To Start Your Own eCommerce Website? With MilesWeb you are in safe hands! The process of establishing a successful and impressive eCommerce website is tedious and challenging. MilesWeb is with you for achieving your vision! MilesWeb presents a variety of eCommerce solutions that are apt for newbies and experienced users as well. A simple setup process is provided through a user-friendly setup-wizard, simple interfaces, shop designer, advanced features etc. With all the features provided by MilesWeb, converting your dream into reality will not be very hard for you. Create An eCommerce Website With MilesWeb Setup your eCommerce business website with MilesWeb. Through any of the MilesWeb eCommerce hosting platform, you can ensure that your website is up and running with minimum efforts. With the eCommerce hosting packages provided by MilesWeb, you get the flexibility of creating and changing your website on the basis of your current business goals. I am planning to setup an online store, what options are offered by MilesWeb? MilesWeb offers a solution for every online entrepreneur. Four types of eCommerce hosting packages are offered that vary in terms of hosting resources offered, the basic hosting features are a part of every eCommerce hosting package. All the eCommerce hosting plans are incorporated with various important tools to ensure the perfect functioning of your online shop. The customers / visitors to your website must have a satisfied experience. You get the option of accepting online payments through various ways like PayPal, credit card, debit card, cash etc. I am already selling online through eBay, what additional perks do I get with MilesWeb? Many online business owners who sell their products through eBay might feel that they are confined to a smaller platform as a result of increasing expenses and competition. However, when you make the switch and have your dedicated online store with MilesWeb, your greatest benefit would be having your own portal that is in your control and you can feature the desired product information on it. With MilesWeb, its time to give a new identity to your online business and plan its further expansion. As all your product information will be easily available, you will definitely not regret the switch. Business owners who find it difficult to plan and control their finances, will also benefit from the simple pricing packages offered by MilesWeb. With an easily understandable eCommerce hosting structure, business owners will no longer have the headache of calculating the eBay fees for every month and they will be able to plan their finances perfectly. I am not computer savvy, can MilesWeb help me to setup the online store? Starting a new online store with no experience about it might seem like a tedious and intimidating task to the novice entrepreneurs. MilesWeb assures you that with few simple steps, your eCommerce website will be up and running within a short span of time. MilesWeb team is always happy to help and provide you with complete assistance for getting your eCommerce website online. Everything looks perfect! From where can I sign up? If you want to know more about the eCommerce hosting packages offered by MilesWeb, please contact our sales team. You can order the desired eCommerce hosting package using the order now button given above. You can pay for the eCommerce hosting package through various ways like net banking, debit card, credit card, bank transfer, PayPal and cash. Do you offer customize eCommerce hosting solution? If you are looking for a customized eCommerce hosting package then you can get in touch with us through email (sales@milesweb.com), phone (1-800-103-1811) or through the live chat and we will provide you with the perfect solution. There is no minimum contract period; you can opt for a web hosting package monthly, quarterly, semi-annually, annually, 2 years or 3 years. It’s your call! If you wish to cancel the domain names as well if you are cancelling the web hosting package, then you can let them expire. 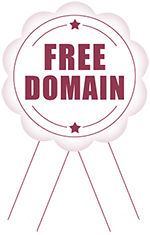 However, if you want to keep the domain names, even after cancelling the web hosting package, then you will have to pay the standard domain renewal charges. eCommerce Hosting at just $1.11/mo.